No matter your allegiance to either coast, there’s no denying the allure of California style. It’s a distinct brand of cool all its own, and enough to prompt us to daydream about our own little bungalow in Laurel Canyon—all minimal, white-wash-walled rooms, spare save for a few massive plants and an expensive whiskey-hued leather armchair. 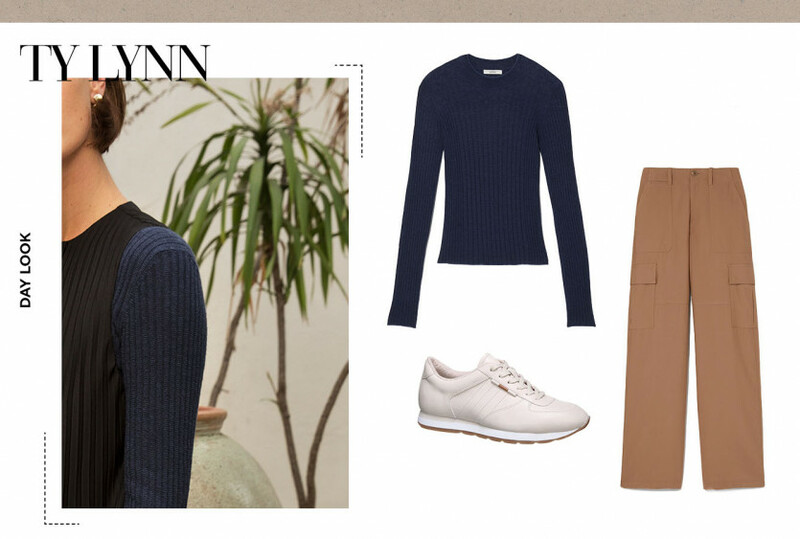 In said fantasy, it’s only right we have the wardrobe to match: breezy culottes, luxe leather sandals, a cashmere sweater for when it gets “cold” (yes, we plan on becoming one of those). And when we’re in the mood for similarly understated albeit elevated staples, there’s one brand that fits the bill: Vince. The label has long leaned into its West Coast heritage for a distinct take on luxury, which essentially comes down to this: chill, but make it fashion. That calls for plenty of floaty silk, rich cashmere, and a palette of unexpected neutrals, with an eye for utilitarian details. 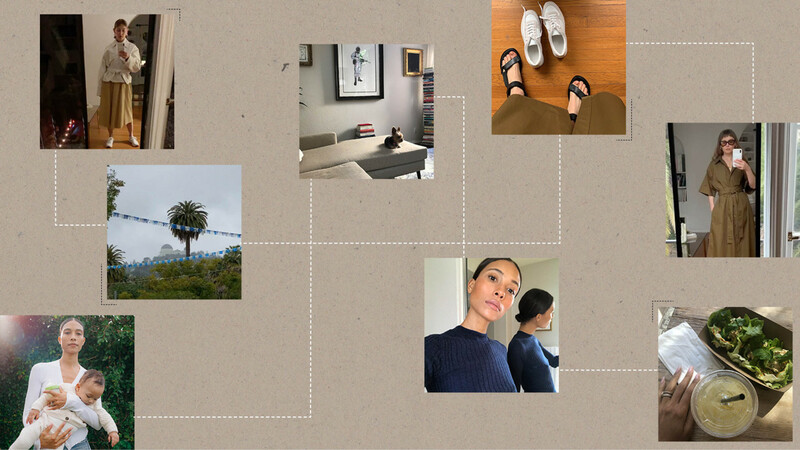 Until our dream pad becomes a reality, we’ll have to live vicariously through two of our sartorial favorites to watch: stylist Sissy Sainte-Marie, and Cov alum and designer TyLynn Nguyen. Here, our ode to their effortlessly Californian style. Sissy, who calls Los Angeles’ Los Feliz neighborhood home, occasionally looks to the area’s laid-back attitude for style inspiration. 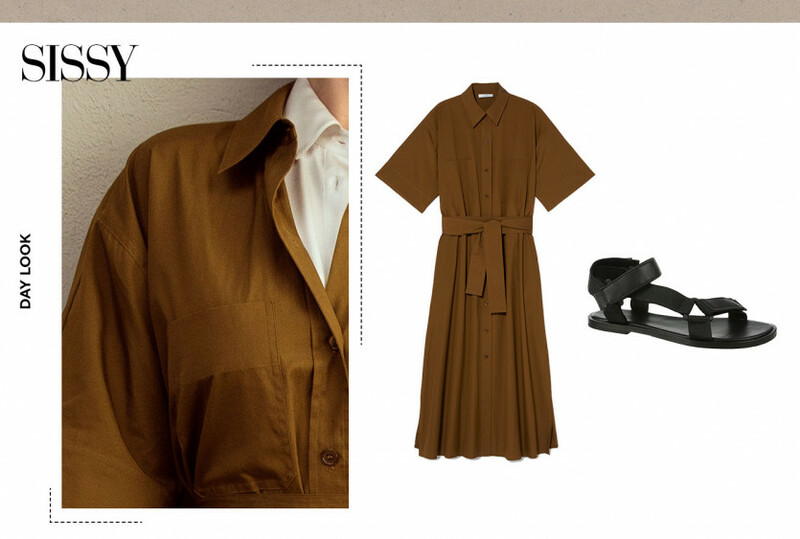 For day, that might mean a voluminous cognac-colored shirt dress that’s equal parts sensible and statement-making (very Joan Didion), paired with a strappy pair of athletic-inspired sandals for a cool-girl spin that keeps the look feeling grounded. For a night out, Sissy employs one of our favorite stylist tricks to great effect—sticking to a similar color story or palette, without resorting to one shade head-to-toe, for a look that feels instantly pulled together but not predictable. 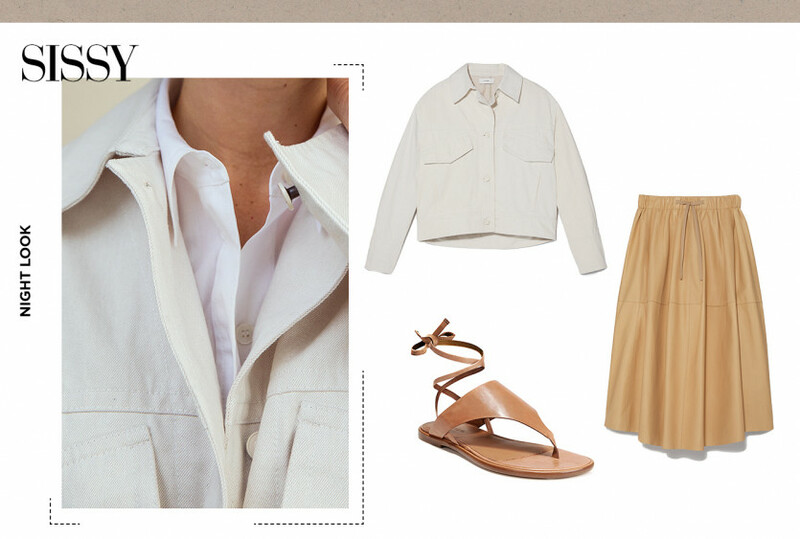 Here, that takes the form of a crisp white denim utility jacket, buttery soft sand-hued leather skirt, and some leather sandals. Tylynn’s day can take her from school drop-off (she’s a mother of two) to a meeting with potential brand partners for her line, and she dresses accordingly. A simple-yet-chic navy cashmere (seriously, is there anything chicer than navy? ), a streamlined, floaty cargo pant, and a pair of leather kicks fit the bill perfectly. Headed for a night out with minimal time to spare? 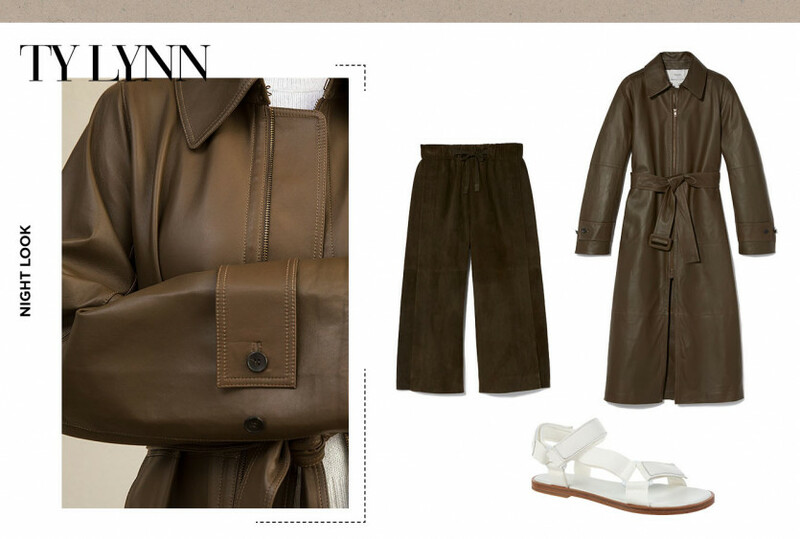 TyLynn tipped us off to our new favorite layering piece: a sleek leather trench (the length adds an elegant feel to even a t-shirt and jeans). Here, worn with a pair of voluminous suede culottes, it takes on more of a textured, tonal feel. A pair of bright white leather sandals (we love the ’90s vibe the nylon ruching adds) cuts through the look for automatic cool-girl cred.